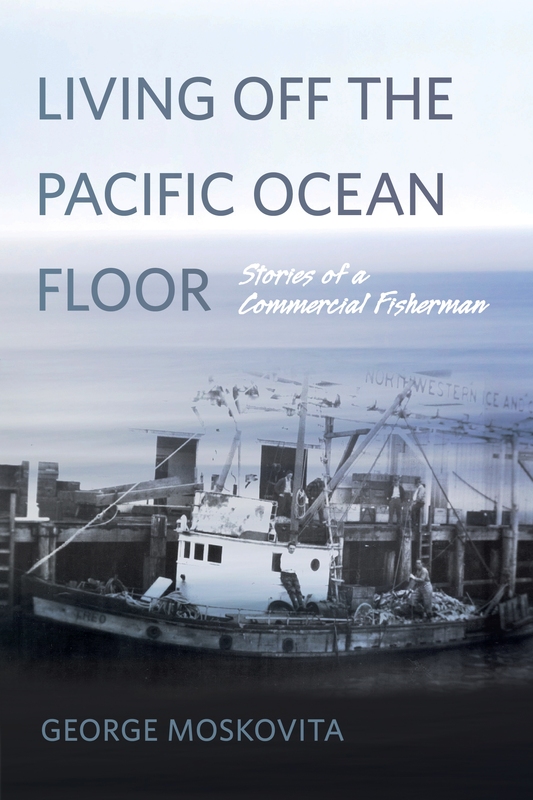 As regular readers know, we often rail about the lack of history materials about the development of fishing and fisheries science in the Pacific. Most of the history on the development of fisheries has been focused on the Atlantic, where fishing developed over hundreds of years. In the Pacific, development was much faster. Technology was quickly transferred as the industry industrialized, starting with marine refrigeration in the 1930s. Development was even more rapid after World War II, as sonar, radar, and larger engines allowed boats to fish deeper water, and to move further from home. 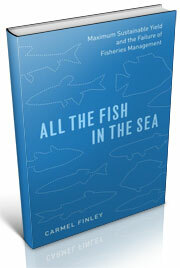 That dismal state of Pacific fishery history is changing. We are starting to get some new books and the wonderful thing is that they all link together. History is like that, it connects everything. 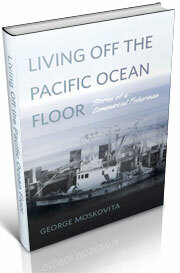 One of the foundation books about the development of Pacific science is also a literary classic. 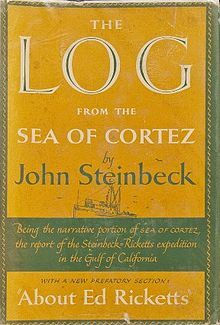 The Log of the Sea of Cortez was written by novelist John Steinbeck, about the six weeks he spent fishing with Ed Ricketts in the Gulf of California (also known as the Sea of Cortez) in 1940. 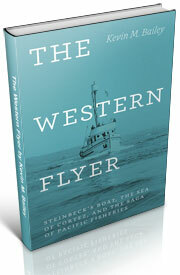 Their vessel was iconic Western Flyer, and Kevin Bailey’s new book looks at the career of the boat, as it moved from sardine fishing to trawling to king crab. George Moskovita would certainly have known the Flyer. When OSU issues his book this fall, it will dovetail with both Steinbeck and Bailey, providing three books with unique but complementary elements. George’s book can also be read in concert with Dayton Lee Alverson’s The Race to the Sea. While written primarily for his family, Alverson, one of the Northwest’s top biologists, adds to our picture of the growth of fisheries science during the 1960s. Both men lived in Astoria after the war. George was one of the first trawlers to fish for groundfish out of Astoria. Alverson, along with our old friend Jergen Westhreim, were among the first scientists to study West Coast rockfish. 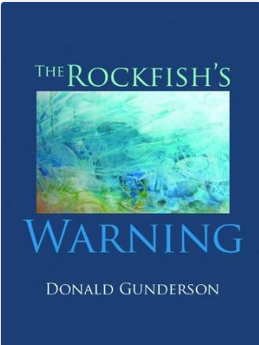 If you want some science with a philosophical twist, add to this growing pile Donald Gunderson’s The Rockfish’s Warning, a mediation by a fisheries scientist on his career, and what he has learned about fish and sustainability. Our own work fits in here as well. All the Fish in the Sea traces how fisheries science was used by the U.S. State Department to further its Cold War objectives of restoring the Japanese economy. 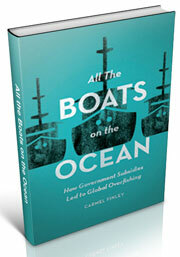 All the Boats on the Ocean, which is currently out for review and scheduled for publication some time next year. What is important here is the growing body of work that scholars can draw on, to teach the environmental history of the Pacific Ocean. There is a lot of room for additional volumes, but this is a grand start. This entry was posted in California sardines, Carmel Finley, Dayton Lee Alverson, Environmental History, fisheries science, Fishing, George Moskovita, History of Science, History of Technology, Ocean fishing, Pacific Fishing History Project, Resources About Fishing, World History and tagged Dayton Lee Alverson, Donald Gunderson, Fisheries Science, George Moskovita, John Steinbeck, Kevin Bailey, Sea of Cortez, Western Flyer. Bookmark the permalink.